Item # 307338 Stash Points: 499 (?) This is the number of points you get in The Zumiez Stash for purchasing this item. Stash points are redeemable for exclusive rewards only available to Zumiez Stash members. To redeem your points check out the rewards catalog on thestash.zumiez.com. 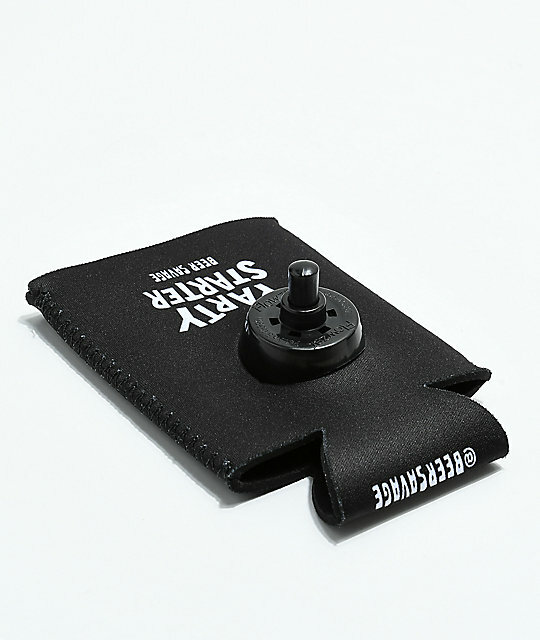 Bring your own beverage and drink it in style with the Beer Savage BYOB Sidecar PSF Beverage Sleeve. 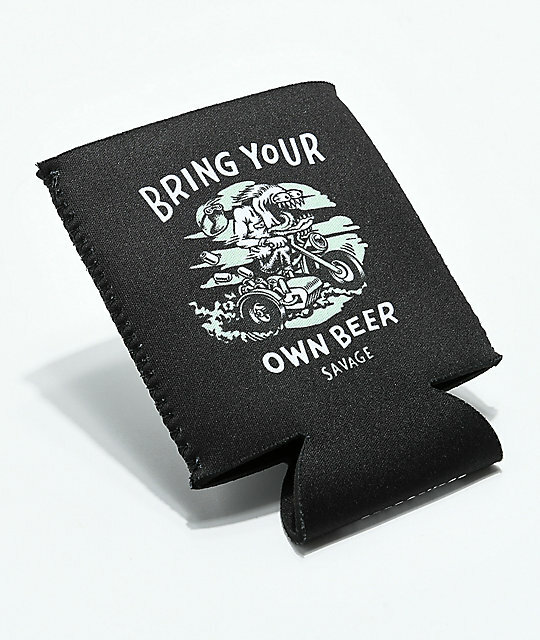 This neoprene beverage sleeve features a Flowzer shotgun system on one side, and sublimated graphics of a Beer Savage riding a motorcycle with beer in his sidecar, along with text that reads "Bring your own beer" in white. BYOB Sidecar PSF Beverage Sleeve from Beer Savage. Black & white "Bring your own beer" sidecar Beer Savage sublimated graphic.